I received an email from a friend earlier today. She was very concerned because her child has been suffering from a severe form of Alopecia. Her doctor advised her to eliminate all Sodium Lauryl Sulfate, Parabens, Chlorine, and other nasties from their household use. My friend was already off to a great start, having gone quite natural. She was shocked to see on the ingredients labels of her Seventh Generation products that SLS was the #2 ingredient. In her email, she asked for some household cleaning recommendations. I thought I'd take that opportunity to share with you and hope you like the products as well. This is for you, Amy. I think most of us are aware that there is a lack of regulation concerning household cleaning products. Companies are not required to provide an ingredients listing in this category of product. This just boggles my mind! Once upon a time, I didn't really care what I cleaned with. I used heavy duty cleaners. I thought anti-bacterial everything was the way to go. I was more cautious with the floors, since the Cocker Spaniel we used to have, our beloved Buddy, used to roll around on them. Once we had children, I became a fanatic about cleaning--I am not talking about scrubbing and scouring--I'm talking about avoiding chemicals in those products. Once you have kids, you know that they like to crawl around. Sometimes, you may even catch them eating a dropped item off the floor. One day recently, I even caught Ben licking the living room floor. I must be a bad mom for that one...he was pretending to be Cannon, our German Shepherd mix. There are so many chemicals in cleaning products. That's why there are such vivid warning labels advising you not to breathe in the fumes, have all of your windows open, and to keep your hands covered. I once used a tub and tile cleaner and was so careful about keeping my hands covered that I didn't even notice the blue pigments being stripped away from my new jeans when I accidentally bumped into the side of the tub. That is how strong the chemicals were. I've gone green as much as possible when it comes to cleaning. I've tried to teach my husband as well and he is learning. I think I mentioned before how he cannot resist an ecomony sized bottle of shampoo. He loves the fact that he can get 16 or even 33 ounces for a buck or two. He tells me "shampoo is shampoo." He is slowly learning. I love him to pieces, but he came home with a dishwashing detergent that "must be natural" because it says "lemon fresh" on the package. Behind the clever buzzwords, though, you'll find chlorine, phosphates, SLS, ammonia, and so may other nasties. What can you do to clean naturally and really clean effectively? Here are some tips and product recommendations. I've spoken before about lemons. 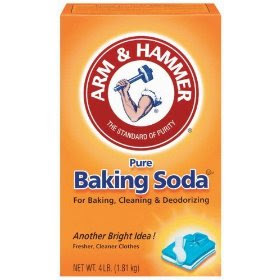 I clean with a cocktail of lemons, baking soda, and white vinegar. It works. This is my bathroom cleaner. It works on the tile and the tub. It also works well in our porcelain sink. The kitchen sink is a white porcelain and it easily turns yellow and dingy. Using lemons, baking soda, and vinegar is very effective. I cut a lemon in half, then set one half aside and put baking soda on the other half.I scrub the tub with the baking soda half.Then I wipe it down with a sponge/scouring pad with vinegar on it....I rinse that off, and then I use the clean lemon half and wipe it down again. Smells fresh, no chemicals, and it'll shine! You can use a great castile soap to clean as well. You can buy Dr. Bronner's at Target and add in some lemon and tea tree essential oil. Use this to do your dishes. Organic Creations also offers a half gallon of castile soap for $15. I like to add essential oils to this for cleaning as well. I use castile soap to clean my hardwood floors. I simply take about 2 or 3 tablespoons of castile soap and add it to a bucket of warm water. 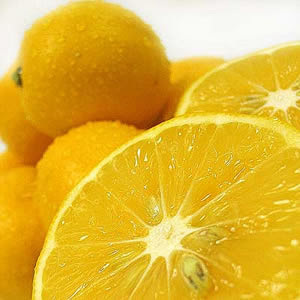 I then add several drops of sweet orange and lemon essential oil. I don't like to get the floors too wet--just damp. The castile soap and essential oil blend is great for doing the wood floors. I also use this mixture to dust wood pieces. Let's talk about pre-made products you can buy for doing dishes and laundry. My most favorite laundry detergent is found on Etsy. It is free of SLS, harsh detergent agents and other ingredients I don't use. It is by Crunchy Clean. I use the unscented version. At home, I will then add some essential oils based on the items being washed. I like to wash sheets with lavender and chamomile essential oils. I do the bathroom towels with either lemon or peppermint. I usually leave clothes unscented. 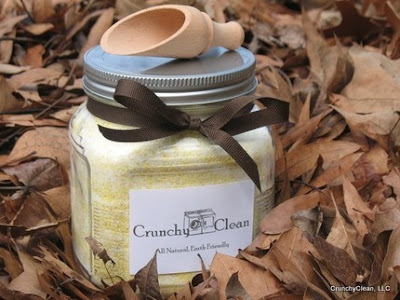 Ashley does offer the laundry soap in several essential oil and fragrance oil scents. "... my Crunchy Clean order. I ordered the Green Laundry Detergent for $8.00 (68 standard loads or 136 in a high efficiency machine). I was skeptical of the stain-fighting power after using Method and Seventh Generation with results I'd just call OK. That being said, I am extremely impressed! The packaging is very simple--a large Ziploc bag--but it's about using a safer product, and quit frankly, my washer is in the basement and I don't care what the container looks like. I have used this on my delicates, towels, a comforter, a bath rug, and on all of our clothes--even on the boys' grass-stained jeans from playing outside last week when it was warm enough. It worked quite well, even on those tough stains. I will, without a doubt, be back for more. It's economical and it's just better in terms of safety and the eco-factor. I chose unscented because I can add my own preferred essential oils if I want a scent. The package included lots of tips on natural laundry care. I started following the one about adding vinegar to the rinse cycle as a fabric softener--no more chemical-filled dryer sheets for me!" For washing dishes, the best commercial product I have tried is by JR Watkins. It is their Aloe & Green Tea Dish Soap. If you like the old Lancome scent, Aroma Tonic, this reminds me a bit of that scent. It's really nice. When I use this, my dishes get clean and my hands don't dry out. Try Wave Jet by Earth Friendly. It is 100% biodegradable, SLS and phosphate-free, and also contains no chlorine. Because of allergies and possible health issues associated with many waxes, I make a wonderful room scent right on top of the stove. In a small sauce pan, combine water with a vanilla bean, orange peels, some cinnamon and a few whole cloves. Simmer on low and it'll smell heavenly! I take a large empty spray bottle and fill with 3 parts distilled water to 1 part white vinegar. Add in several drops of sweet orange oil, lemon or grapefruit oil, and tea tree oil. I wash my windows using newspaper and this spray. For counters, I use an old cotton cloth and this cleaner. It is possible to be both green and clean. Do you have any favorite products for natural cleaning?